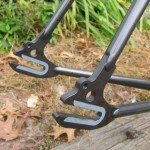 What better way to celebrate a blizzard than by blogging! 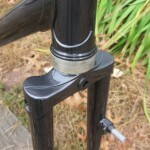 At least until the power went out. Hope all you New Englanders survived last weekend’s storm. 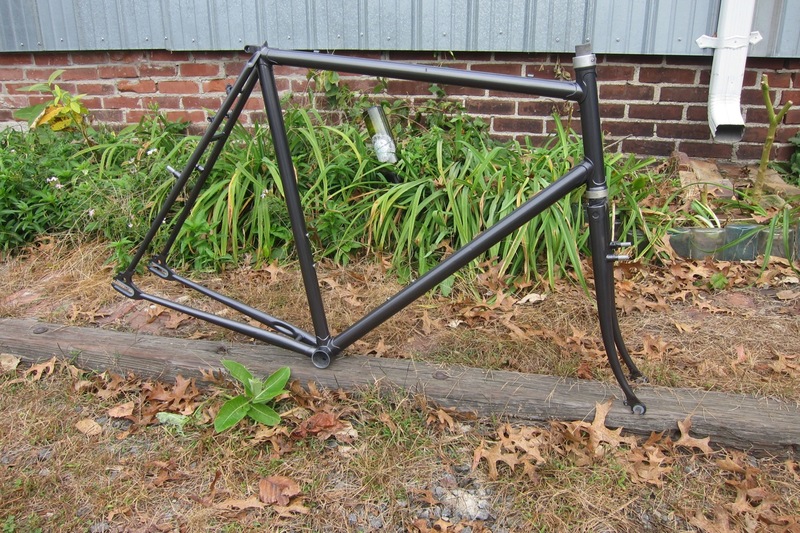 I had built a light touring/commuter bike for Alane’s husband a couple of years ago and it was now her turn to get a bike. 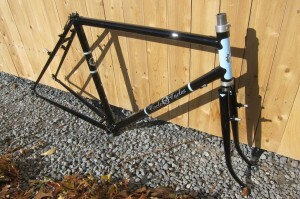 It’s a road bike with fenders and rack mounts so it is quite versatile. 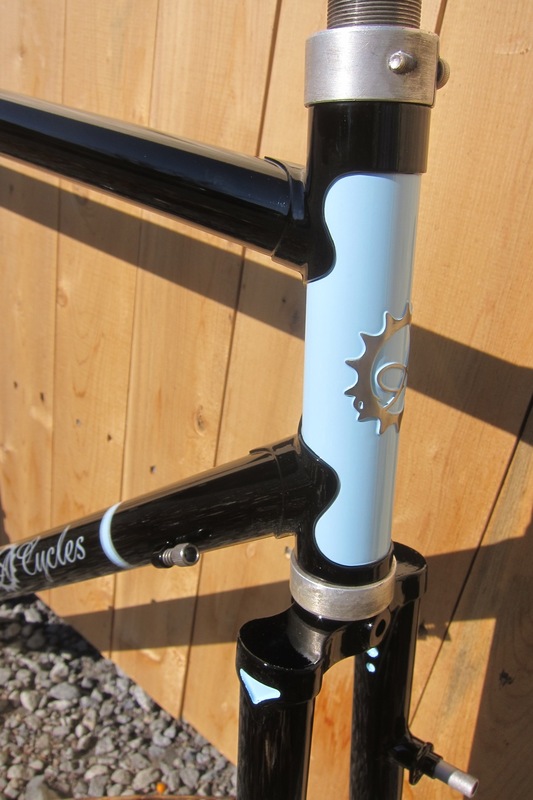 The paint was inspired by a bike I built for my wife in 2008 which was a pleasure to do again. 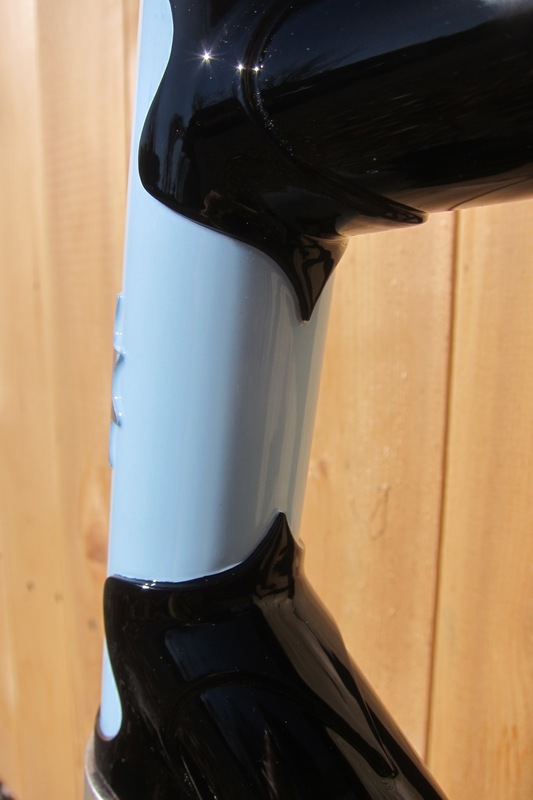 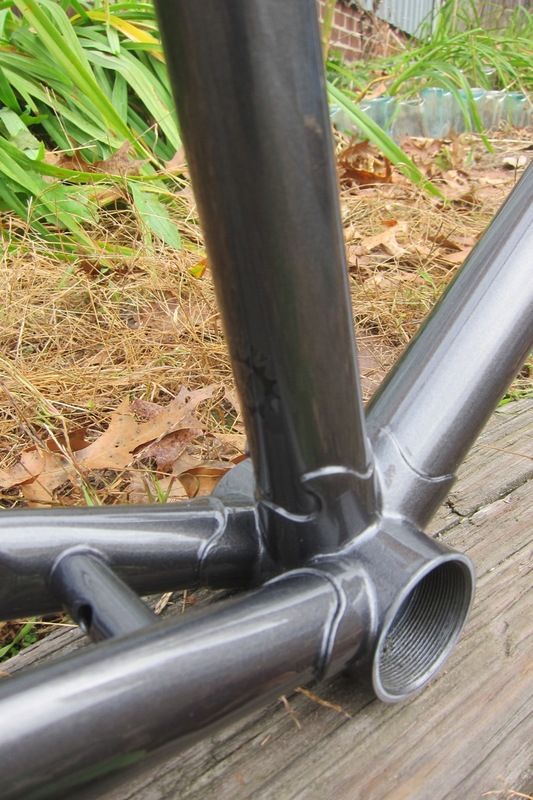 To prevent any toe overlap with the fender, I used a slightly longer top tube, slackened the head tube angle, and used a shorter stem (not pictured). 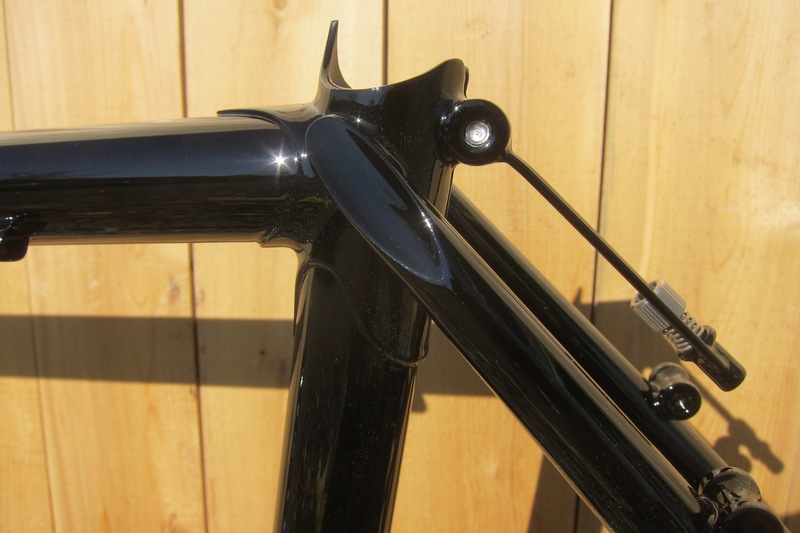 And to keep the handlebars at a decent height, I used a lugset with a 6 degree slope in the top tube, left some of the threading at the top of the steerer tube, and a stem with a decent length quill. 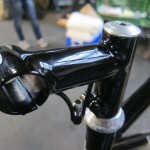 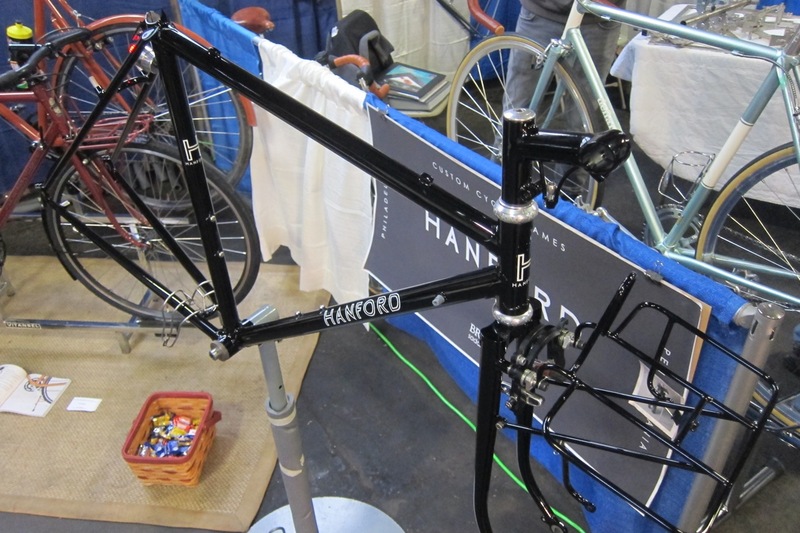 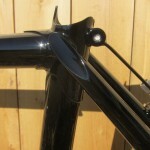 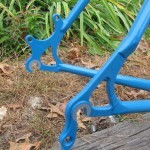 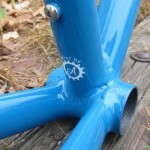 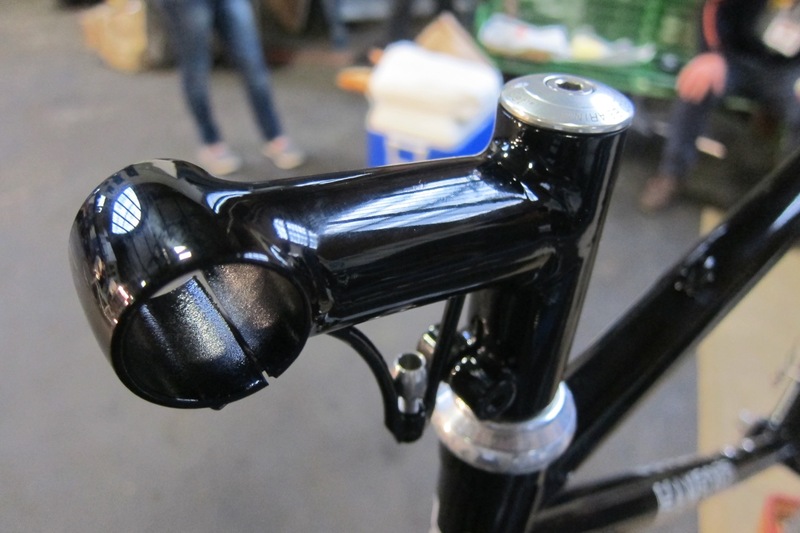 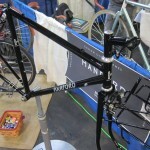 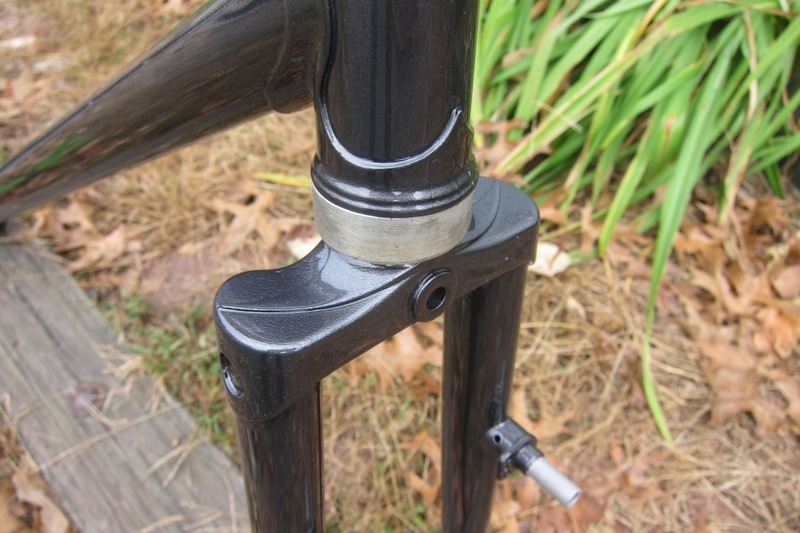 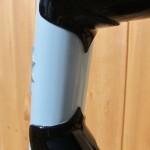 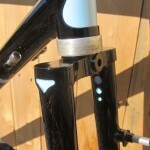 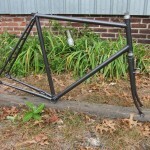 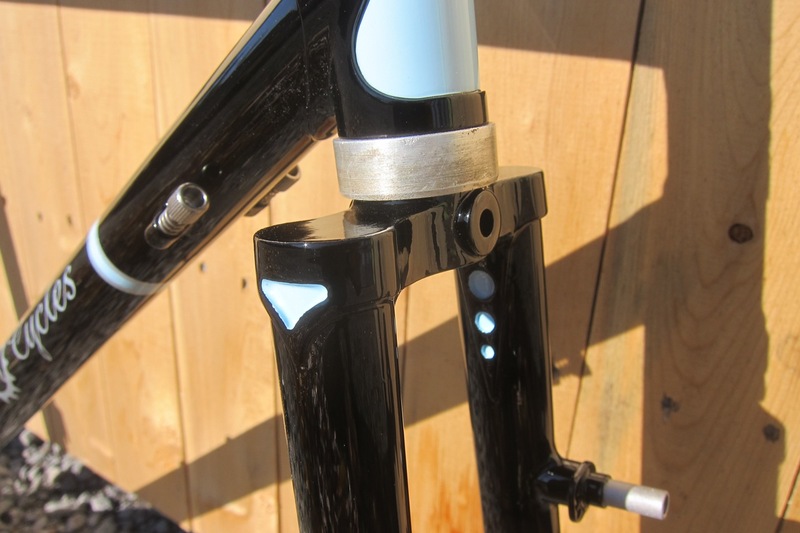 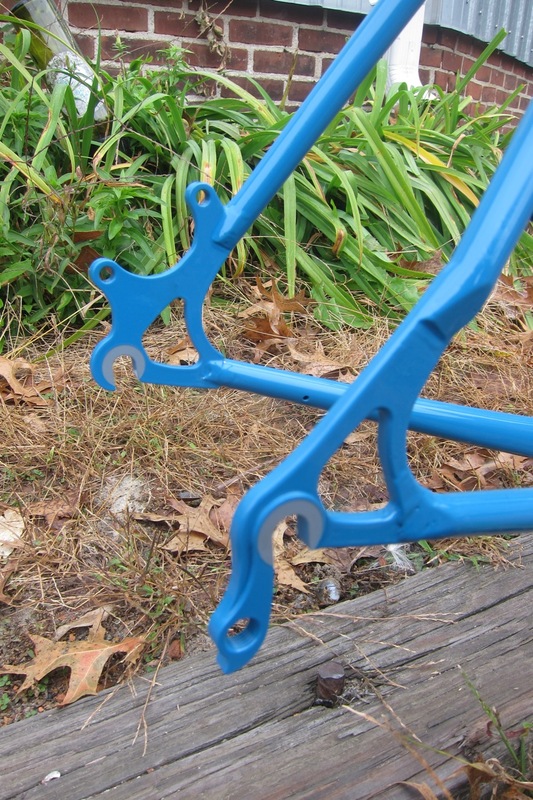 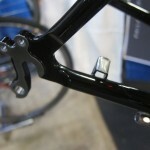 I painted a frame, fork, rack, and stem for Simon at Hanford Cycles. 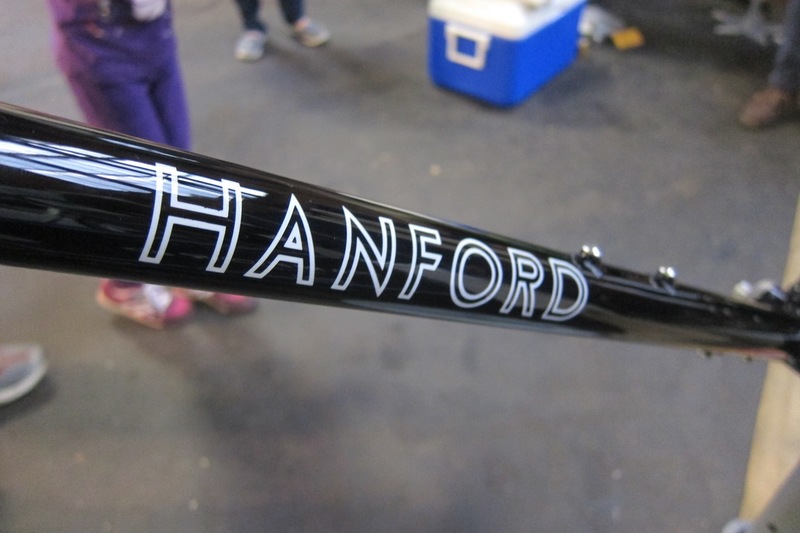 Gloss black with painted on logos. 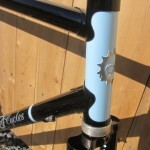 Simon’s a great guy with a wealth of knowledge of bikes and framebuilding. 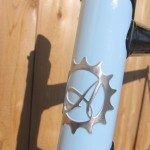 He’s also the official Brooks saddle repair person for North America. 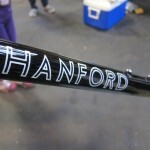 If you ever need your Brooks saddle repaired, he’s your guy! 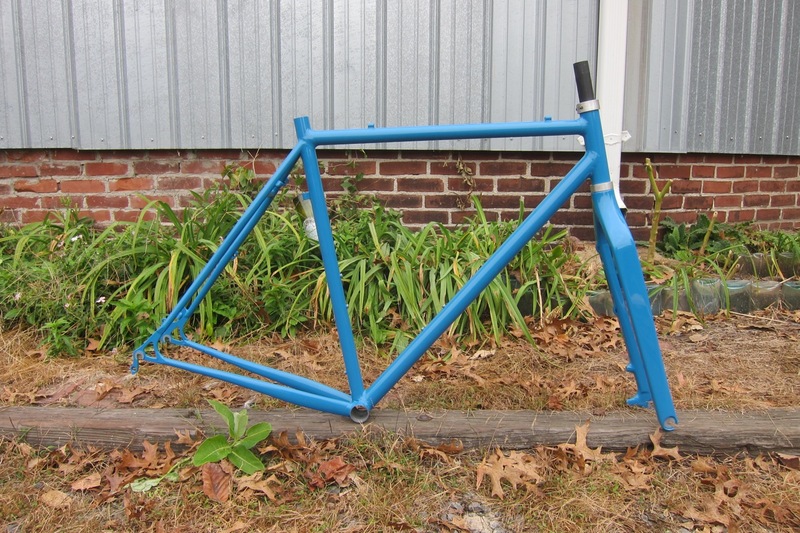 And I painted a Quickbeam and a handmade frame by Manuel out of NYC. 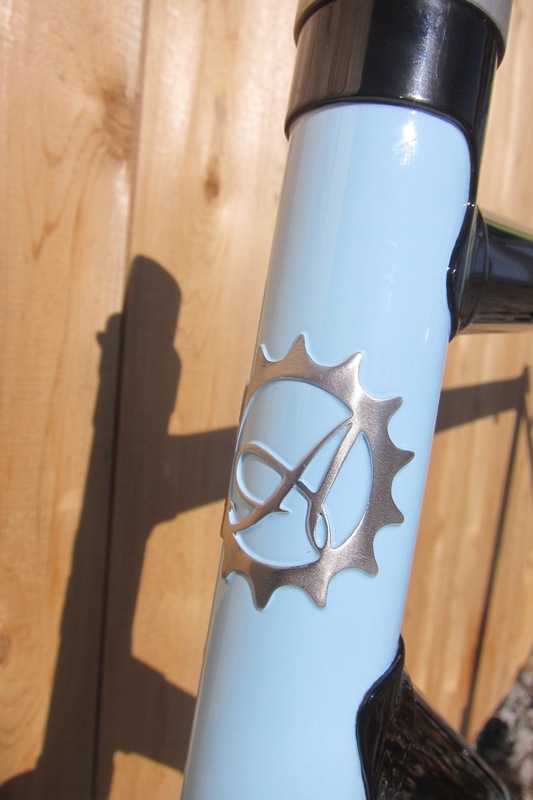 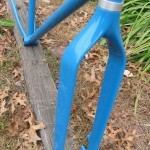 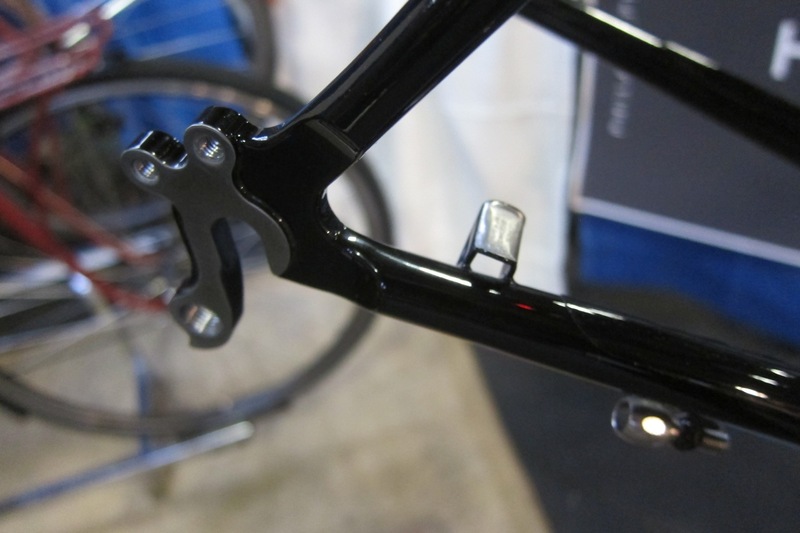 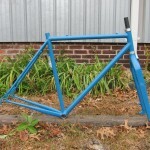 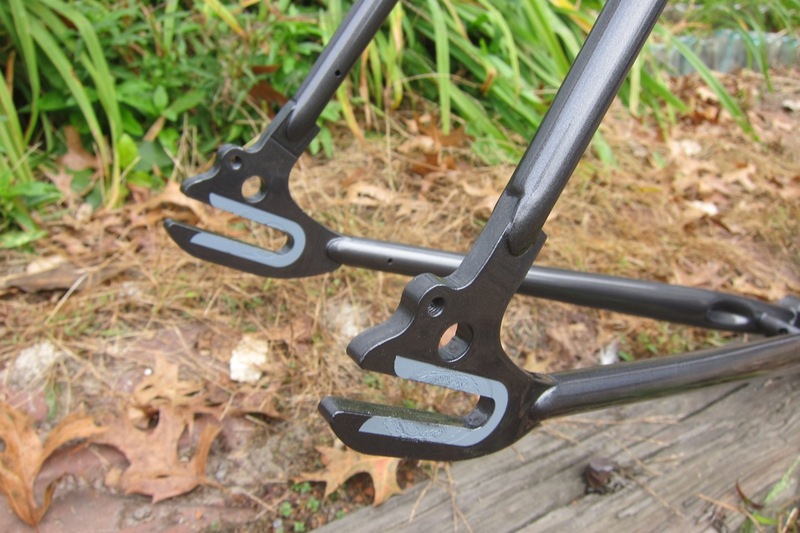 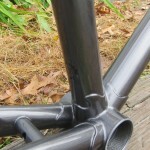 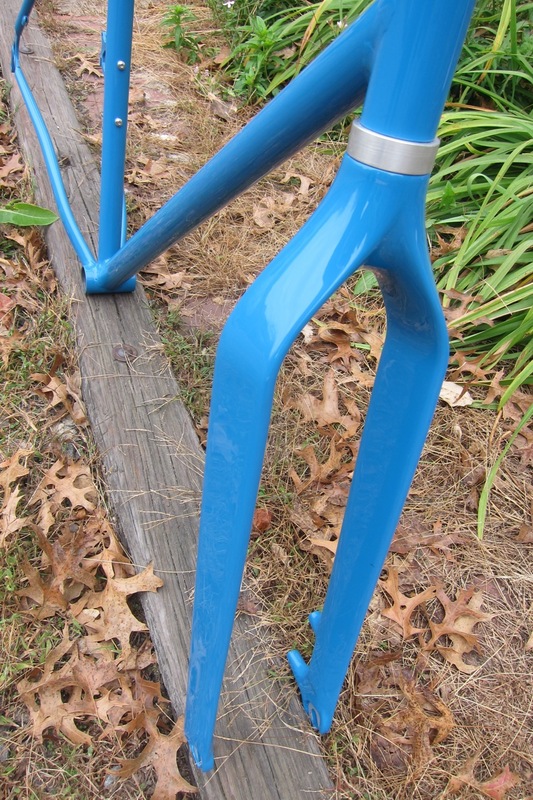 These were solid color framesets that will definitely be stunners when they’re fully built up. 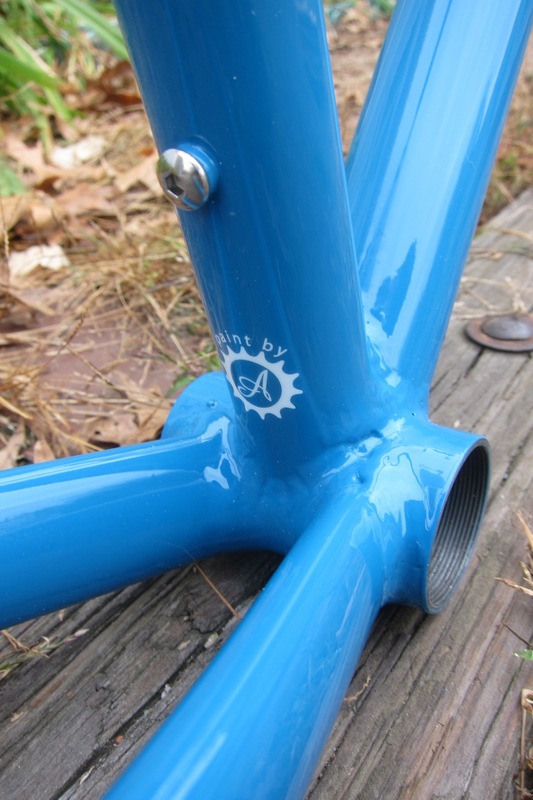 Next up is the mixte, 29er, touring bike, and other various projects I’ve been working on at the shop this winter!